Upper body clothing centered on the chest to the shoulder and along the muscle lines. 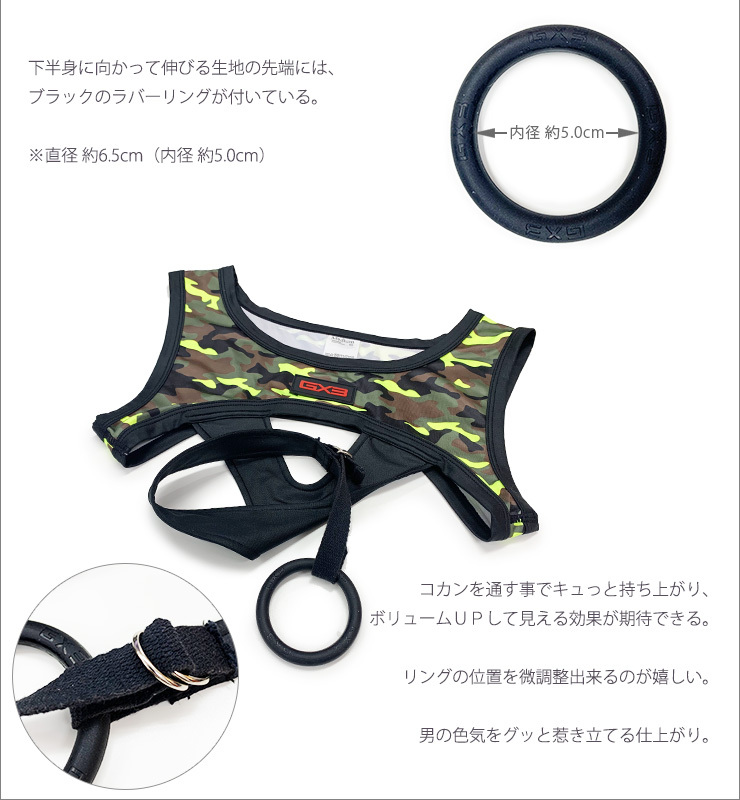 Latest fashion design HARNESS was released! Black, white and military camouflage printing, each with its own characteristics and different charms. Smooth and colorful with a unique glossy fabrics. Excellent stretch, firm and fit, with a hint of tightness. Having more fun with a black plastic ring at the end.